RTW serie started back in 2000 with Shogun. 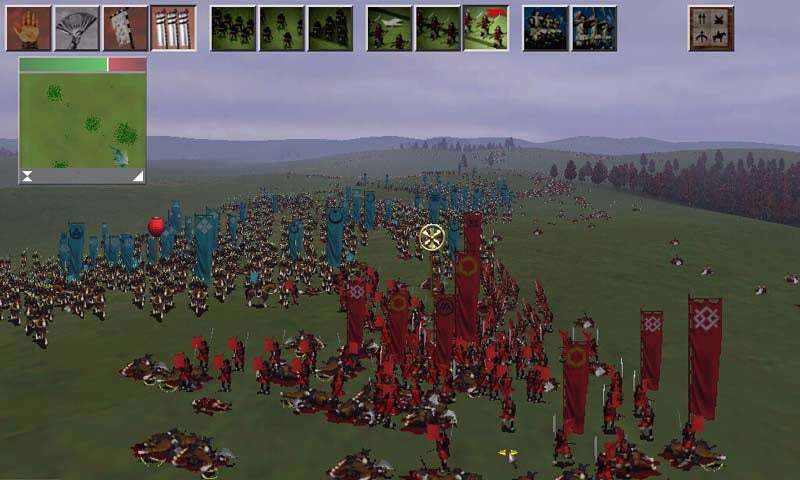 The first opus of the serie was also a revelation for many gamers to the combination of turn-based strategy intermingled with real-time 3d battle tactics. Creative Assembly's started almost 30 years ago in a small studio with just five people (about 300 now), by game developer Tim Ansell in 1987 in the West Sussex's Horsham. After porting games from one OS to another (DOS from Amiga and ZX Spectrum), it also later produced games with and for the EA Sports series, with quite successes. In 1999, there was enough experienced talents in house, led by Michael Simpson from 1996, to start Shogun Total War on its own. It was a RTS inspired by Risk and compared to Command & Conquer initially, only to be in 2D. But when 3dfx video cards were made available to gamers, Simpson was surprised by a Gameplay test on a 3D rendered landscape, and development followed this new path. What was unique also was the use of packed units of soldiers. Their own formation can be altered, units grouped together, combined as a whole in various offensive and defensive formations, all directed from over the battlefield, as the camera view was moved from top-down to a general's view perspective, in 3D. Shogun TW was focused on the Sengoku Jidai era, had gorgeous 3d landscapes and armies made of hundred of individual soldiers, which was unheard of at the time (fact is these used a fake-3d kept also for the next Medieval title, which already was widespread in the industry). But the whole atmosphere, the many possibilities offered by the strategy map and its unique blend of turn-based and real time, plus the haunting score by Van Dyck (which won a BATFA), earned multiple industry awards and set a new benchmark for strategy video games. Not only military force, but also religion, diplomacy, espionage and economics all influenced the player's actions. Sun Tzu's The Art of War was central to the game and feed many quotations associated with the loading screens (yet another tradition in the serie). It was a vibrant, epic and thoughtful masterpiece, which really had its players riveted to their chair for countless long hours as the gameplay had so many possibilities and ramifications to it. In fact a campaign would last for month on end because of the complex balance of choices to make at each turn. No turn was ever boring due to the multiple events, either due to micromanagement building, agents actions (like sabotage, spying, seduction, corruption, negotiations...), building tech and cultural trees to unlock new possibilities, historical events, other factions moves, and moreover the real-time battles that required fast-paced reflection in action. All these combined acted as to make each turn count, literally. You would not hit the famous big bottom right button without having much studied all possibilities. Elements of Sun Tsu's Art of War were apparently integrated in the AI to make the faction's decisions more authentic. At a personal level i was hooked to this game and the whole serie when googling "samurai strategy game" after seeing Kurosawa's movies. Each turn really mattered and as the time progressed, the faction grew and issues aroused, adding complexity, more cities to manage, more armies and factions (which also conquered lands) to watch over, the turns each time gained length, caution grew as well, boldness sometimes. Just like an immensely complex chess game, but with the same intensity and Japanese settings background. Despite the lack of diversity between factions, the scissors-stone-paper battle style (translated as pikemen versus cavalry versus archers) was enough, with varied experience and technology level, landscape and weather conditions, formations, to make each battle feels different, somewhat unpredictable, either in forced offensive or cautious defensive stance. Reception of the game in 1999 was great, and when published in the summer 2000 it had hooked an entire generation of fans, receiving from the industry about 84/100 metacritic positive reviews. Among inspirations it had not only Kurosawa but also the help of Stephen Turnbull, a renown military historian well versed in this era and country's warfare. Mt. Fuji castle scene from his 1985 film Ran was even featured in the credits. In august 2001, the next summer was released the Mongol Invasion expansion pack, also appraised. With the latter editions and porting of the MTW engine modders began to move in and turned the game into a classic greek era setting. But at first only unit, projectile stats and a few others files could be changed. A few examples. 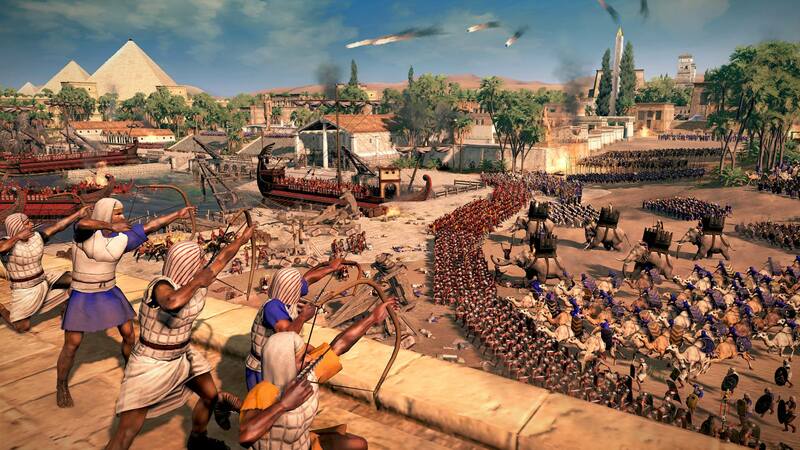 Rome: Total war is the third instalment of a video game released by the British company creative assembly in 2000. The first opus, SHOGUN: TOTAL WAR set the tone for the rest of the series. The game was generally a turn-based strategy game with real-time battles and a large number of fighters, allowing you to develop real tactics. Subtle marriage between a complex campaign to manage and battles in which it takes a real tactical ability to defeat, beautiful landscapes and a "shogun" type atmosphere that would not have denied Kurosawa, the game was above all a popular success, carried by The players because he did not benefit, budget oblige, a massive promotion campaign. 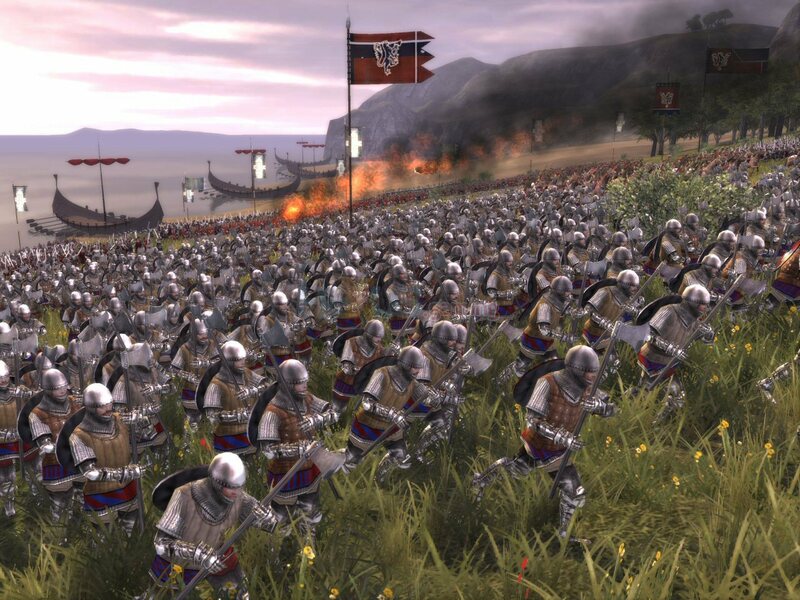 Released in 2002, the second opus, MEDIEVAL: TOTAL WAR highly anticipated, resumed what had made the success of the first by adding refinements campaign and transported us in the Middle Ages. The year 2003 saw the addition like for shogun, of an add-on, Viking Invasions. Success was once again at the rendezvous, and the graphics in progress, although still modest. It was in 2004 that the much anticipated Rome: Total War, immersing the fans of the series in full antiquity, period rarely exploited by video games, if not the legend of the game management par excellence, age Of empires. This time, what the official previews had foreshadowed was confirmed with the demo: The new opus took back the proven recipes of the first two while introducing a graphic level still unsurpassed for a tactical game allowing to manage more than 15 000 fighters on the field Of battle. 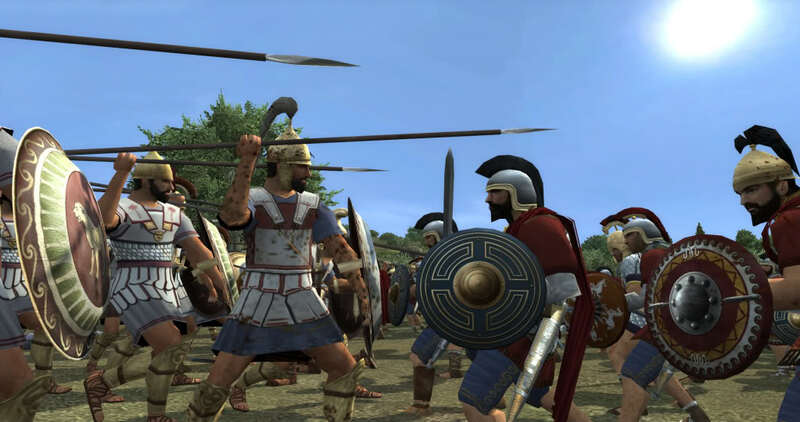 If we add the excited animations and camera views in the middle of the melee, the seats, weapons and peculiarities of the time, Rome: Total War quickly became very popular, and aroused a new and unexpected enthusiasm for antiquity. Just type in military terms about the antiquity on google and see the results to convince yourself. It was an award winning game and one of the best-selling category, marrying strategic campaign management, more tactics Elaborate, variety of units, and great show. Two add-ons served to extend the duration of the game, BI "barbarian invasions" based On a late Roman empire opposed to the hordes from the north and east, and Alexander, going back into the past and proposing to revive the epic of the great Macedonian conqueror. Finally, in 2006, came the latest album, even more awaited than the previous ones, notably because of an uncertainty concerning the chosen period. It was finally the medieval period, much to the surprise of many, which returned with MEDIEVAL II: TOTAL WAR. The promotion was made with a lot of screenshots of a surprising graphic quality, a level even higher than the previous one and even unprecedented for a game of strategy and tactics of this size. The campaign however and management in general, picked up most of the previous opus without adding anything very revolutionary. This opus, like the previous one, provoked many mods, but whose creation was more laborious because of greater complexity. 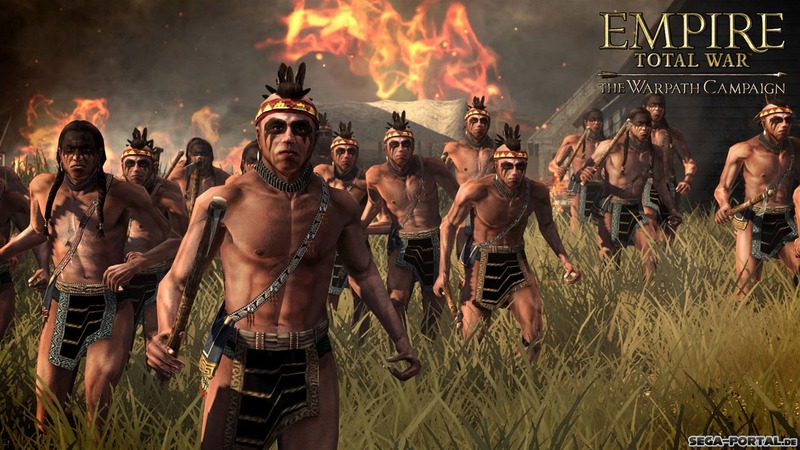 In 2009, with a year and three months delay (released in March), arrived EMPIRE: TOTAL WAR, which did not focus on the Napoleonic era, but the eighteenth century, 100 years after where MEDIEVAL II stopped. The graphic quality has made progress but less spectacular. The novelties stem mainly from the management of naval battles, the tactics of the time (muskets and cannons) and a world map, according to the principle already outlined with medieval II and its late incursion into the Mesoamerican continent. However, if RTW satisfied most players, criticism has emerged concerning in particular the historical realism, R: TW being optimized - it is doubtful for the playability. In addition, the UI was broken and there were still bugs, imbalances between factions and units, among other things. In the end, it was the fan community that seized it to improve many aspects. (See below). On the other hand, the pack 1.1, then the pack 1.2 released quickly, were eclipsed by the massive pack 1.3 which regulated many unpleasant aspects of the game, like that of shooting his own men because of a collision bug, and Many defects of the UI, very unconvincing. Rome: Total War and its extensions, Barbarian Invasion and Alexander added welcome improvements, Alex being especially praised for its enhanced AI. In 2005, the Barbarian Invasion (BI) extension, which proposed a scenario in which the Roman Empire was at the end of its existence as a single entity (Two empires in fact, the western one, moribund and threatened By the barbarians to whom it will succumb, and that of the east, Byzantium, which will soon face the surge of Muslim armies, not to mention the hordes of the east whose famous Huns ... Among other things (new units and factions ), The game allowed nocturnal battles and swam across rivers... But loud colors and fanciful units were always de rigueur. The following year, while the interest for the game did not give way, thanks in particular To the many mods in existence, came the second and last expansion of the game, Alexander, which proposed a return to the time of the Macedonian conqueror, with a map extended to India and many new units. Kingdoms was the main expansion of MTW, bringing in many new factions through four campaigns and, including a central America one. Medieval II Total war, released in the winter of 2006 with a demo in September, demonstrated an astonishing graphic quality improvement and also that the most recent hardware was no match for the game at top settings. With a normal configuration, RTW at the same top settings worked fine, but Medieval II was laggy as hell. This was corrected later (especially with the Kingdoms release). MTW 2 was the last game of the pre-Steam era. This is important, because the move, if helping the company financially, led to a brand new team, new engine, but also first major disappointment for die-hard fans (Empire's TW disastrous Steam release). That said, new factions, improved gameplay (re)introduced from the original Medieval Total war, was a good compromise and the game also introduced firearms, aztec warriors, and an epic map from the Asiatic steppes to the mexican jungle, all sorts of medieval artillery, huge cities and citadels in fine details, and above of all for the first time, many variants per unit. The latter gave a true diversity, and more realistic feel to battles, although still deserved by a relatively poor AI. How the modders community received Medieval II, now released since November 2006 ? The very first mod (or one of these) announced was based on Rome:Total war. It was an idea launched by the team of RTR and EB of a common mod ported. Since his announcement, a complete silence was observed. Another Antiquity mod was also announced, Polemarchia, featuring the classic age of Greece (IV-V centuries bc), but led to nothing. Many mods based on the Medieval timeframe has been released, changing some aspects of the game. Deus lo Vult, and Stainless Steel are among the best known. Broken Crescent is also quite refreshing, focusing on the opposing factions of Asia, the middle east and North Africa, and especially Muslim rival nations and tribes of the time. EBII: With De Bello Mundi and Peninsula Italica, it's among the few Antiquity conversions of MTWII ever performed, and it's certainly the best. Medieval II revealed itself almost as easy to mod as RTW, due to a lot of common coding. New tools and programming studies were necessary however. PC technology made enormous progresses in the meantime, and many RTW mods embarked in the adventure of MTW2 conversion, one of which was the remarkable EBII	(Europa Barbarorum II) released in 2015, after years of development and despite the arrival of RTW II (which showed itself such a disappointment for the old fans that EBII considered the former still has much more favour and depth in it to play). Invasion Barbarorum II was released way before, but focused in a more compatible late-antiquity period. The New Generation: TW Franchise goes to Steam. So, in 2000 was released Shogun, followed by Medieval, Rome, then Medieval II, all available in DVD format, and later in no-CD format. This can be called the first era. In between, Creative Assembly has been purchased by SEGA. Wether the latter asked for better dividends or decided to make its latest acquisition profitable for the consortium, or CA lacked funds for the next step, it was decided anyway to shift to the Steam platform, then on the rise. The latter concept rivalled Origin and was found a much more profitable concept for the gaming industry. The idea was -for the players- to have a single distribution for all games (physically installed on the computer nonetheless) rather than a collection of CD and DVDs that were prone to breaking, dust and other hazards, joining and chatting an online community, exchanging badges, have exposure for their mods, etc. But it was also a way for the game producers, not only to avoid these box-DVD-printed booklet expenditures, but to dispense extensions and add-ons in such a studied price and chronology as to get the players pay for a product which was in reality much more costly to develop. Historically, a freshly new launched game costs around 35-50 dollars and more. This is totally insufficient for big titles but small games developed by small companies with existing modules and engines if they can afford the licence. So how to convince players to buy a 130 dollars game ? There is no point to try that way, but instead the marketing helps pre-selling it, and then selling it on D-day, often before the game was properly finished. Then it was consistently patched, and the final price was achieved through either graded editions (standard, premium, diamond... mostly EA business model) or the famous DLC (on EA titles and Valve Corporation's Steam especially). The latter means "DownLoadable Content", but through sheer marketing, (poor or even cut-off content from the initial release, and sometimes far worse) it became the new industry standard. Some companies shamelessly abused of it in a way as make the game costing as much as intended and more, as not all players would buy all DLCs. Unfortunately, for old guard fans, CA fall into this bias, coldly calculating that loosing these old customers was worth gaining a younger, much broader audience, not accustomed to previous titles, and willing to pay these DLCs. This also came with more streamlined games and a venture into a non-historical, but well-known and profitable franchise, Warhammer. Empire's naval battles were not ideal, but for a first try, they proved a valuable addition to the serie. This title came three years after MTW2 and its extension, Kingdoms, and was the first to be introduced on Steam. It was even available on Steam only for a time. It was introducing a bunch of novelties, and get official appraisals from the game industry, but its first days on Steam has been since passed into almost legend because of poor coordination and numerous bugs (and not only the AI). So much so that it spawned controversy, and despite and generous marketing campaign that succeeded to reach a younger audience, backlashed with many former players that were lost in the process. The battle of Brandywine, announcing the American independence campaign, and playable in the February 2009 demo. Despite of this and gradual corrections of some bugs (but not all, far from it), Empire introduced the Warscape engine, a brand new era, world map and naval battles for the first time. Warscape was developed to fit new standards in the gaming industry, new development tools, but its collision management and poor unit formation made it buggy and get a tedious review at first. Again for old die-hard fans of the serie accustomed to the previous engine, it was nothing short of a complete mess. Nevertheless, many of these shortcomings were corrected as Napoleon TW arrived, and completely forgotten with the excellent Shogun II. Alas, it was a return to the worst with Rome II. But crucially, this new engine made extremely difficult to modders to produce any in-depth modifications. Some tools were lately released however that allowed a few noticeable mods to came into existence, like Colonialism 1600AD, Imperial Splendour, The American Revolution Mod, and the ambitious Empires of Destiny, or in a later timeframe, American Civil War, even a WW1 mod (TWTEAW) mod attempt, which was ported later on NTW. Naval Battles was the great addition to the serie, and were eagerly awaited by the fans. It was a tough assignment as one designer spent a whole year working on the water's physics system. Details and accuracy of the ships was OK, although faction-flavour was poor and the ships were blatant copy-pastes with different colours, there was at least about fifteen types of ships, from the small half-galley to the first rate and some historical ships like the Victory. The Warpath campaign extension, bringing in (after Medieval II Kingdom) North and central American Indian factions. The era fitted well the world map -or at least sold as such- which in reality was capped to the whole Asiatic continent but India, and only part of the American continent (northwest and part of south). The new campaign 3d maps and details, sound and in particular the music theme (performed by the London Orchestra) added much to the atmosphere. However playable factions were limited, and copy-paste units as well as lost diversity in the same unit (for the sake of computer lagging) left the impression to a return to the clones of RTW and previous titles. Cities and towns also were a bit messed up with scattered unrelated buildings, although the general landscape and many architectural details were gorgeous. However due to the similar artillery+cavalry+copy-paste infantry and still inept AI, campaigns for many gamers became rapidly boring. Despite of this was introduced, along with a few DLCs, the Warpath Campaign extension, which brings to the table in late 2009 the Iroquois, Cherokee, Huron, Pueblo and Plains Nations (unit screenshot). Despite two unique units per factions, all others were generic, but it offered the opportunity of playing challenging campaigns against technically superior European nations. NTW was in many ways logically awaited. It proved to solve many issues from Empire as well. This title was logically the next quick step in the new style of game defined by musket and rifle infantry, artillery and cavalry, and saw mostly units redesigns due to the 1800-1812 timeframe, taking all advantages of the great battles of the era, but the game mechanics remained essentially the same. The game had a good pre-release order rate, and came with a Standard, Limited, Imperial, Emperor's editions, some with special units like the Royal Scots Greys, HMS Elephant, Towarczys, and the Grand Battery of the Convention. Only a few factions were available at the beginning, logically those involved in the napoleonic wars, such as the Austrian Empire, United Kingdom and the British Empire, the French Republic/Empire, Prussia, the Russian Empire, and the Ottoman Empire, involved in the Egyptian campaign. The map was entirely revised, limited to Europe and a part of the east and Northern Africa. There were later yeat another factions introduced, Spain and Portugal, with the Peninsular campaign extension, while Denmark, Norway, Sweden, The Netherlands, the Batavian Republic were only playable in Custom battles, while smaller nations like Baden-Württemberg, Bavaria, Hessen, the Kingdom of Italy, Naples, Sardinia, Sicily, the Papal States, Duchy of Oldenburg, Saxony and Swiss Confederation were all locked and unplayable but met in campaign. The grand campaign was introduced by two sub-campaigns and own maps, Italy in 1796, followed by Egypt in 1798, and followed by the "Mastery of Europe" main campaign. Some improvements of the games physics were made in real-time battles, like cannonballs leaving impact craters and increased smoke with volley fire, even balance within units and between units has been revamped, feeling less clone-like. Campaign turns lasted for two weeks, versus up to six month in previous titles. Multiplayer and the AI were also enhanced. Outside a few DLCs including new units and battles, the main extension was the Peninsular Campaign, that introduced Spanish and Portuguese factions. At the end, the title somewhat bought back some of the credit lost by the previous title, very much like Attila did more recently with RTW II. Shogun II was altogether a return to the origins, an aesthetic marvel, and was universally recognised as a frank success. This title was awaited with tremendous anticipation, back in late 2010 when announced, with gorgeous battle screenshots showing gleaming armours with fine details, marvellous landscapes and the characteristic cherry tree in autumn adding their Korosawa-like flavour to what became a true, unmitigated success since the beginning. The splendid video introduction to the game back in March 2011, shortly after the demo was released (Feb 2011), became viral and did also much to sell the game. March 2011 cinematic introduction video. Rise of the Samurai Battle scene. A delight to see as a whole, the game was also back to the simplified stone-paper-scissors style that really stuck a whole generation of gamers to the serie. Perhaps the only critics were about naval battles (a few types of ships, limited tactics, but mines) and playability on the long run. However up close, the complex individual duels, thanks to mocap (Motion Capture) used for the first time, were just the extra cherry on the cake, and a radical departure of the rather dull animations of the previous titles. Sieges, with the particular nature of Japanese castles, became an all too new exercise, as warriors just climbed to the walls to assault endless terraces, then took or burnt gates and archer towers before accessing to the high, central castle. The February 2011 demo came with a short campaign tutorial, and the emblematic historical Battle of Sekigahara, together with a benchmark system. The general quality versus performances was also truly remarkable, especially when compared to Rome II later on. The score was again, well crafted to add to the atmosphere with many traditional instruments, Japanese voices, even complete with the well-respected typical cartoon style of all visuals, units cards, etc. Like previous steam releases, DLCs followed, like The Ikko-Ikki Clan Pack (with a distinctive Buddhist warrior-monk flavour to it), Sengoku Jidai Unit Pack (many elite units), Saints and Heroes, Hattori Clan, Otomo Clan (Christian clan with Portuguese pikemen and a single elite western naval unit, a carrack, the "black ship") and the blood DLC (a bit exaggerated Kurosawa-style flows of it). Of course what made the difference were two extensions. The first was a DLC which really packed value-for-money (perhaps the most value-for-money DLC ever devised for the serie so far): Called Rise of the Samurai Campaign, it was set 400 years before, featuring the medieval Genpei War, a conflict between six legendary clans of the Taira, Minamoto and Fujiwara families. Its end saw both the first Shogunate, and rise of the Samurai as the ruling class. It added 16 new land units, 4 new Hero units, 10 new naval units and 3 new naval special abilities plus 4 new agent types and the battle of Anegawa (1570), new; more primitive castle. It added a brand new dimension to the game and made it last much longer. The second was a true standalone extension, not a DLC (see below) and the other end of the timescale. CA avoided to just copy the Mongol Invasion extension of the original shogun game. The most valuable DLC of Shogun II, and was the Industrial age Fall of the samurai campaign. It was announced in late 2011 already and came out on 23 March 2012, making all the serie's fans craving by showcasing for the first time modern artillery, Gatling guns, steamships (some armed with torpedoes), ironclads and foreign (British, American and French marines) units plus all the industrial age addition on the campaign map, like naval bombardments and railways. Fall of the Samurai took place yet in another troubled period of history, almost ten years after Tom cruise's "Last Samurai" featuring similar events: The 1860s Bakumatsu era and Meiji Restoration war, where Shogunists opposed imperialists in the final years of Tokugawa Shogunate. Two ironclads portrayed in the early teaser screenshots. Never CA ventured so far up modern warfare. The extension came with a deluge of novelties, including a brand new 3D campaign map, with even more refined details, brand new factions and rosters of units (both foot and naval), new modern rifled artillery and gatling guns, along with new games mechanic, explosion effects, precision of the rifles, coastal guns, improved water effects, thanks to an improved Warscape engine as a whole. Of course with the new factions came new historical battles, and naval battles came as a brand new experience as a whole, because of the range, power of weaponry, and the inclusion of armoured ships, culminating to three ironclad types (One French and one Japanese sea going ship, plus an American monitor). The campaign differed in having this time to side with the emperor/shogun or form a new republic. Along with a whole range of new ambient sounds, the excellent musical score by Jeff van Dyck was also revised, with more symphonic, European and more epic tones to it. All in all, it made the title gain extra playability and completed this full Japanese experience by leaving some clues the next title could well be either the American civil war, Victorian era, or even WW1. In any cases, CA kept the secret and left for much speculation. Probably the most eagerly awaited and most marketed TW game ever, but a truly epic fail. Still leaving a taste of controversy until today, a sequel of RTW was, at least on a logical point of view, not expected after Shogun II. Indeed the logic behind the lineage would have seen rather the introduction of a brand new era rather than a sequel. However, and for many well-rooted reasons, including the obvious fan's veneration for the original RTW, and to the general surprise, Rome II was announced instead in 2012. It was trumpeted with the biggest marketing campaign so far, the biggest budget, biggest crew (CA doubled in size). Huge expectations began to equally built up as the title was revealed and the first epic scale screenshots (like the one above) showcased, to the delight of the fans. This was to be the very incarnation of tactical/turn-based strategy grandeur like no other title before, raising to the expectation for the sequel of the most famous title of the serie. It also was to bring back units diversity, more tactical possibilities, rich rosters and diverse cultures, huge, gorgeous 3D map, all the fans could desire. Contrary to all past titles however, there was no demo, probably for the simple reason the game was released in such haste there was no point to do so, and in any case the weight of the files needed would have been probably too much to handle as a free early pre-release. Nonetheless, based on the numerous previews, media battering, including a whole live video serie, even books and special editions, the new title capitalized much more pre-orders than any title before (or since). A look at the Illyrian roster in custom battle. UI pics were criticized for their summary, "greek vase painting" look. When it was eventually released on September, 3, 2013, it was soon realized that these expectancies has been raised well above what the real game could achieve. It was immediately evident that, despite the budget and time alloted to the new title, it was anything but ready for release. Right after it was made available, many customers compained about the game being unplayable, first because of initial loading crashes, then campaign and custom battle crashes, extreme lagging, numerous graphical glitches and bugs, awful AI, poor game mechanics and decision-making that streamlined campaigns and favoured graphical effects for the map at the expense of playability because of too predictable path between mountains and forested areas. Added to this, inept naval battles and sieges (like the famous new gates torches mechanics), to the point of many players using auto-resolve instead. This made for a rather poor lenght of playability, if that was not for the more positive points. What followed this backlash (which saw gradually the core of old fans leaving the serie for good), were an avalanche of successive patches, and a rain of DLC, each time bringing limited or apparently obvious "cut-out" content. There were however, some additional DLC campaigns, sole obvious like Caesar in Gaul (fall 2013), Hannibal at the Gates and other more interesting like the Wrath of Sparta (bringing the peloponnesian era), and Imperator Augustus (Roman Civil war and early imperial era), all in 2014. Of course, modding was near-impossible because of the new engine, but some tools were released, at least allowing some changed in units (and a few mods, like one rooted in the Trojan and bronze age wars, another portaying ancient Italic factions, and another the medieval era). Encampment battles: (Defensive stance with a wide array of fortifications around its perimeter, wooden palisades, up to small forts, like a small scale siege. - Ambushes battles revamped with flaming boulders, spikes and traps (Teutoburg Forest historical battle). 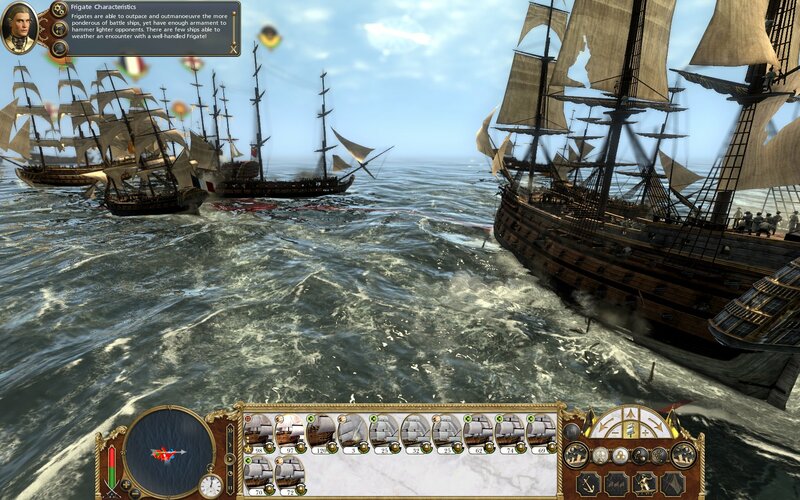 - Port sieges (combined land and naval battle type, when a navy sails into an enemy port). A brief look at the Arevaki roster. Graphically RTW 2 does not seems a radical departure over Shogun 2. Let not forget also the scale of cultural diversity, 173 regions, and 57 provinces. These regions gave, according to former modder Jack Lusted instead "rebel nation" as many as individual nations, city states or ethnic group which each have a unique play-style. Let not forget the range and scope of vegetation and environment diversity, the four seasons systems kept, an again improved Warscape engine which introduced for the first time a "close-up melee combat camera" sold as a "soldiers point of view" to live the battle, as with former titles from an eagle eye ("general") view, down to the shoulder-to-shoulder fight, which almost feels the blood and sweat, and dust, and cries. Like Shogun II, RTW uses Mocap for most fights although these duels are brutal, less refined overall. The introduction of a "soldier"s perspective" was a good idea at first, but seems rarely used in real battles. But this close-up view, especially at max settings (which is quite demanding, even with a powerful rig compared to Shogun II), also reveals the historical accuracy and level of research, the variety within units with armours, helmets, gears of all kinds and weaponry. Even the sieges came with new assault types like a giant ladder, a new moving battering ram, the giant Helepolis... Let's not forget also again, the general quality of the musical score, performed by a classical orchestra with all the sense of grandeur awaited for such era. Let's not forget (Although part of these were bring by "cut-out" DLCs, others were free) the numerous playable factions, more than any other previous title, including like the original RTW game the three Roman families and three Carthaginian families. On the campaign map, armies now had their own editable symbol and name, plus proper character traits, boosting loyalty and morale of the troops with a true esprit de corps forged by experience. That too was all new. So at the end, the epicness is there, undoubtedly, and after all the patches, the game is enjoyable at least for some time, at least for the sake of having so many factions and campaigns to play, with all the diversity of the ancient world, and on top of it, a large degree of historical accuracy in details, colours, the level of details in cities, including the most famous ones (like Rome and Carthage, Alexandria), that most players, especially the young generation would appreciate. Perhaps the pace of time has changed, the patience to play a mod like Europa Barbarorum, with such level of micromanagement, is of no use with the new Millenials generation. The future will tell if such kind of game still has an audience or is a niche rooted in the past, a nostalgia of hard-won battles and epic campaigns, perhaps a frustration towards an AI that was never really there. RTW 2 at the end is objectively way better than the original one despite its streamlined campaign, botched-up naval and siege battles. It brings more diversity than ever before and was worth the budget put in it. Attila built on this capital and received in its turn universal appraisals. But there is definitively a rift between players of the first era and the new direction taken by the Franchise. Attila's video introduction scene, with some storytelling and dramatization. If Rome II somewhat left a sour taste, Attila redeemed the Franchise all by itself when released on 17 February 2015, on three platforms, Windows, OSX in February simultaneously and Linux in December. It was first announced in the fall of 2014 and was seen very much by its settings -a bit anachronistic- in 395 AD when the Western Roman Empire was on the verge of collapsing under pressure for Germanic hordes, and this standalone was named "Attila" although it was seen much as a modern equivalent of Barbarian Invasions from RTW. However it introduced a lot of novelties. Well-polished it suffered no technical flaw and introduced its own flavour to the serie, a gritty dark age one as announced by the title "your world will burn". Landscapes and cities showed new buildings and the print of time, the arrival of the Huns and portrayal of the many Germanic factions of the time. A brief look at Attila's UX. Rich rosters and faction diversity were a must for gameplay. Faction's religious conversion in the game was revamped and gained a new crucial importance, as well as the Church becoming ever more influential, which character choices to make, well like the former serie. The horde system was reintroduced, with some additions like new choices to make when conquering a land, proper to these factions. Like raze settlements, doing a deliberate "Scorched Earth policy", or abandon settlements and burning those as a much superior enemy was approaching, rather than leaving the city and land untouched like in previous titles. Also a mini Ice Age was introduced and for the first time, civilians were seen both in the field and cities when battles occurred, either fleeing in terror of fighting back in some cases. By the way, campaign factions selection screens are presented now with large 3d characters, and there is a way to customize battle by swapping between campaign factions and particular attached units (like the last Roman and Age of Charlemagne). The game featured 56 factions, 40 of which were unplayable, however many became so as DLC came out gradually bringing in a variety of cultures. This was first "Viking Forefathers" already available in pre-released, introducing the Danes, the Jutes and the Geats. The second culture pack DLC came with three new Germanic factions, the Langobards, Alamans and Burgundians, as well as introducing a new narrative chain, "Lay Of Ybor" (early March). The third DLC came later that month, this time with the Celtic factions, Picts, Ebdanians and Caledonians. The next month CA released a set of "Assembly Kits" on Steam, a pack that features modification or "mod" tools for the community, enough to change campaign maps, database entries and textures among other aspects. Small attention to detail also accounted for its success like the rich rosters with many differentiated units (but perhaps Germanic factions and later troikas of DLC factions to some extent like the Celts and Slavs), and new UX cards with detailed appearance rather than the former "greek style painting" style which was also criticized by the fans. However in sieges, capture-the-flag systems were kept but the overall game mechanic was improved. Naval battles were not much more enjoyable, with relatively low units diversity, especially for generic "Germanic" factions that all featured Viking-like boats (this time however with more accuracy than in RTW II). Battle scene. The graphical engine seems revamped, but darker overall. As always textures are realistic and superb. Later in June, on a first campaign DLC, The Last Roman, was released, featuring a new map (set partly in North Africa) within the Wars of Justinian I, and Belisarius as the main character, leading an Expeditionary force in order to reconquer the western provinces from various Barbarian kingdoms, such as the Vandals and Wisigoths. It also introduced the historical Battle of Dara, while in parallel a free DLC pack made the Suebians playable in campaign. In September was revealed the "Empires of Sand" pack featuring the African factions Tanukhids, Himyar and Aksum, all with their own distinctive units and traits related to desert warfare, as well as 3 new religions (Eastern Christianity, Judaism, and Semitic Paganism) and free DLC showcasing the Lakhmids. The Last Roman campaign, introducing legendary Byzantine general Belisarius. Age of Charlemagne extension, venturing into the early medieval era. The fifth and last cultural pack DLC, introduced in early 2016 three new factions to the era, the Slavic Nations called Anteans, Sclavenians, and the Venedians, as well as particular traits such as immunity to snow attrition and recolonize razed settlements for no cost. But before that in December 2015 came out the first and only true expansion of the game, although of much lesser depth and scope than -let say, Fall of the Samurai: Age of Charlemagne. It was centered on the early medieval age's charismatic figure of Charlemagne and the Carolingian renaissance in 768 A.D that led to a gradual end to the dark ages, a fitting end to the serie and perhaps an early spoiler of the next title to be out in early or mid-2017 (Medieval III?). Nevertheless, in between Warhammer was announced and well-advertised. The extension also came with yet another free-DLC faction, the White Huns. Although gaining more appraisals than the previous title, Attila was still criticized however for its "impenetrable, non-user-friendly and frustrating internal politics and diplomacy, occasionally nonsensical AI". Benchmark: Attila TW at max settings and lowest setting comparison.